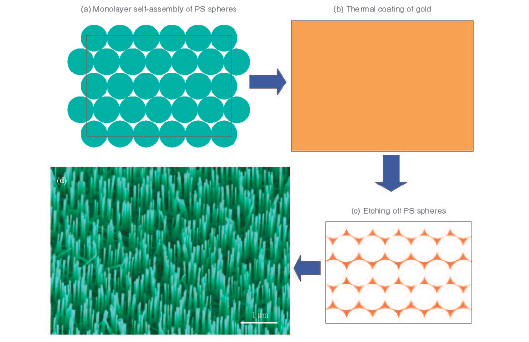 " Co-doped Y-shape ZnO nanostructures: Synthesis, structure and properties "X.M.Zhang, W.Mai, Y.Zhang,Y.Ding, and Z.L.Wang, Solid State Communications., 2008. "Energy Harvesting Using Piezoelectric Nanowires-A Correspondence on "Energy Harvesting Using Nanowires?" by Alexe et al. " Zhong Lin Wang . Advanced Materials. , 2008,20, 1-5. 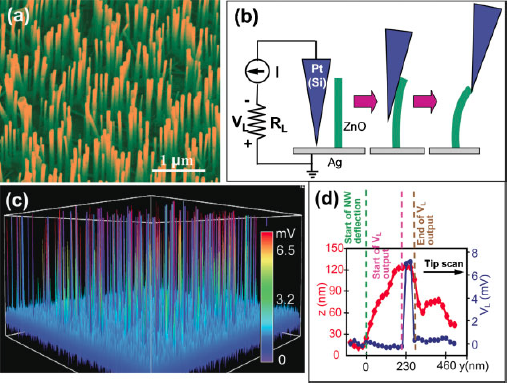 "Growth of Vertically Aligned ZnO Nanobelt Arrays on GaN Substrate"Yaguang Wei, Yong Ding, Cheng Li,Sheng Xu,Jae-Hyun Ryo, Russell Dupuis, Ashok K.Sood, Dennis L.Polla, and Zhong Lin Wang, J. Phys. Chem., 2008, 112 ,(48), 18935-18937. 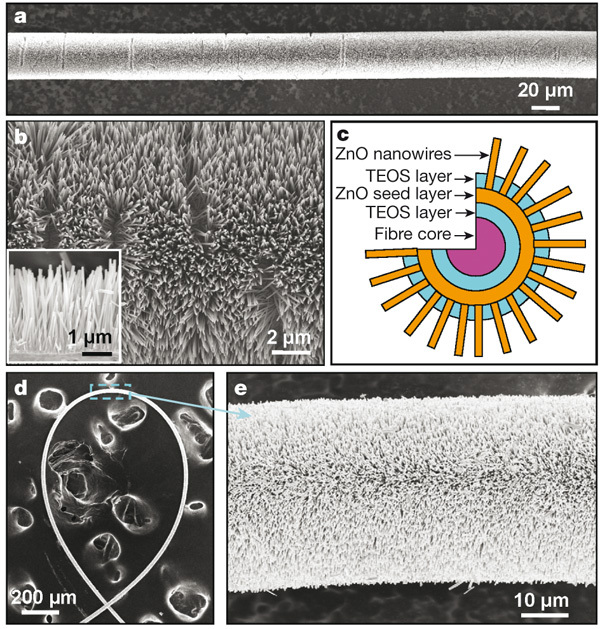 "Splendid One-Dimensional Nanostructures of Zinc Oxide: A New Nanomaterial Family for Nanotechnology"Dr. Zhong Lin, Wang, ACS NANO., 2008 (2) 10. "Mechanism and Optimization of pH Sensing Using SnO2 Nanobelt Field Effect Transistors"Yi Cheng, P.Xiong, C.Steven Yun, G.F.Strouse, J.P.Zheng, Rusen Yang, and Zhong Lin Wang, Nano Letters., 2008. 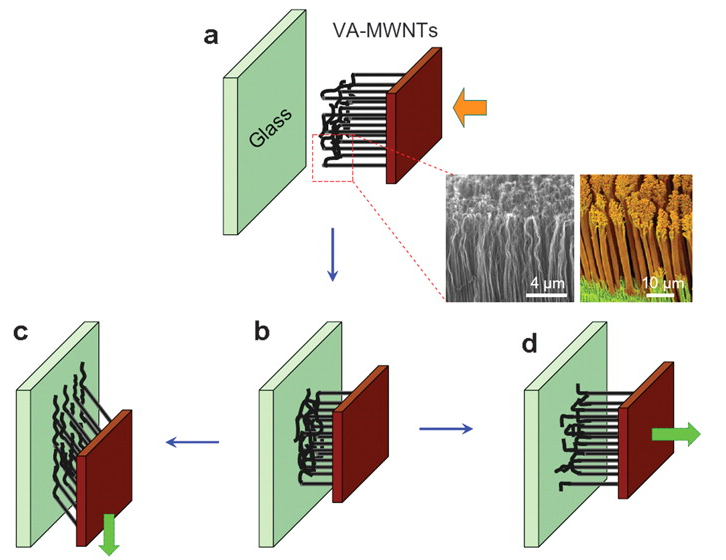 "Integrated Multilayer Nanogenerator Fabricated Using Paired Nanotip-to-Nanowire Brushes"Sheng Xu,Yaguang Wei, Jin Liu,Rusen Yang, and Zhong Lin Wang, Nano Letters., 2008.(8),11.4027-4032. 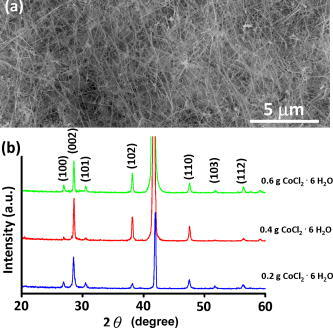 "Controllable Nanocage Structure Derived from Cyclodextrin-Intercalated Layered Double Hydroxides and Its Inclusion Properties for Dodecylbenzene"Xiao Lei Liu,Min Wei,Zhong Lin Wang, David G.Evans, and Xue Duan J.Phys.Chem., 2008. 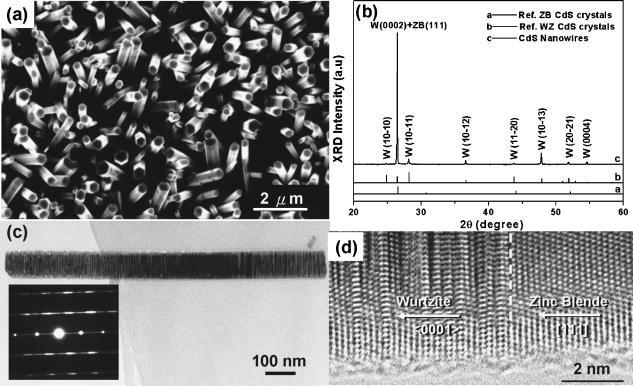 "Patterned Growth of Vertically Aligned ZnO Nanowire Arrays on Inorganic Substrates at Low Temperature without Catelyst"Sheng Xu,Yaguang Wei,Melanie Kirkham, Jin Liu,Wenjie Mai,Dragomir Davidovic,Robert L Snyder and Zhong Lin Wang, J. Am. Chem. Soc., 2008 .130. 14958-14959. 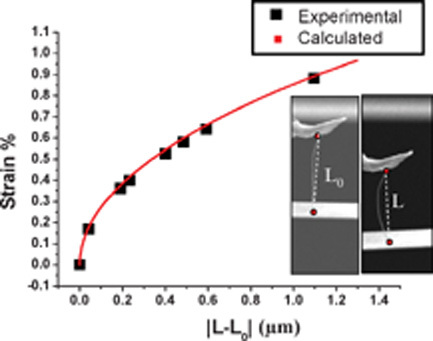 "Carbon Nanotube Arrays with Strong Shear Binding-On and Easy Normal Lifting-Off" Link_1,Link_2,",Liangti Qu, Liming Dai, Morley Stone, Zhenhai Xia and Zhong Lin Wang, Science.,2008,(322), 238. "In situ growth kinetics of ZnO nanobelts",Melanie Kirkham,Zhong Lin Wang and Robert L Snyder, Nanotechnology.,2008,(19), 445708. 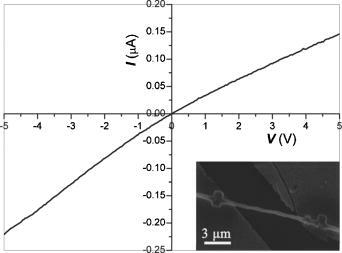 "Piezoelectric-Potential-Controlled Polarity-Reversible Schottky Diodes and Switches of ZnO Wires",Jun Zhou, Peng Fei,Yudong Gu, Wenjie Mai, Yifan Gao, Rusen Yang, Gang Bao, and Z.L. Wang, Nano Letters.,2008.(8),11. 3973-3977. 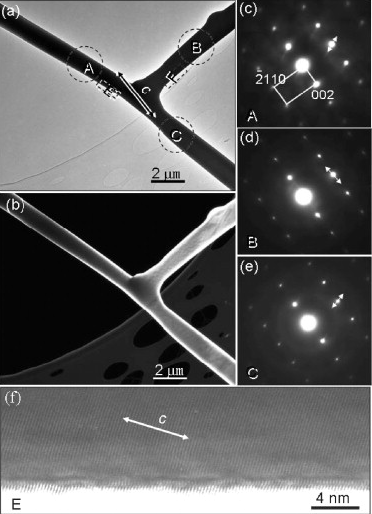 "Elastic Properties and Buckling of Silicon Nanowires",Cheng-Lun Hsin, Wenjie Mai, Yudong Gu, Yifan Gao, Chi-Te Huang, Yuzi Liu, Lih-Juann Chen,and Z.L. Wang, Advanced Materials.,2008 (20) 20, 3919-3923. 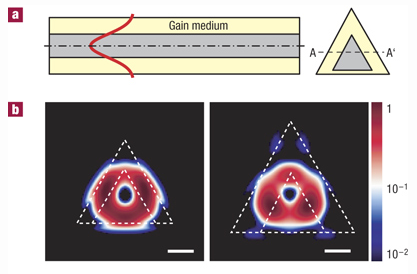 "Multi-quantum well nanowire heterostructures for wavelength-controlled lasers",Fang Qian, Yat Li, Silvija Grade ak, Hong-Gyu Park,Yajie Dong, Yong Ding,Zhong Lin Wang and Charles M. Lieber, Nature Materials., 7 (2008) 701-706. "Rapid photoresponse of single-crystalline selenium nanobelts",Aimiao Qin, Zhou Li, Rusen Yang, Yudong Gu, Yuzi Liu and Z.L. Wang, Solid State Communications., 148 (2008) 145-147. 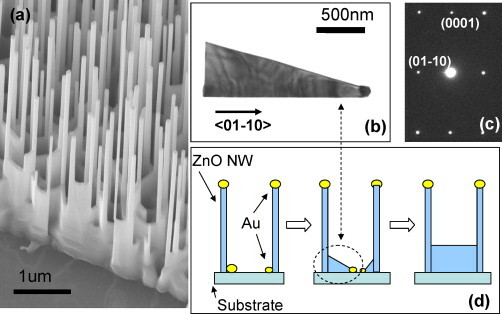 "Density-controlled growth of aligned ZnO nanowire arrays by seedless chemical approach on smooth surfaces",S. Xu, C.S. Lao, B.Weintraub and Z.L. Wang Journal of Materials Research, 2008 (23) 2072. 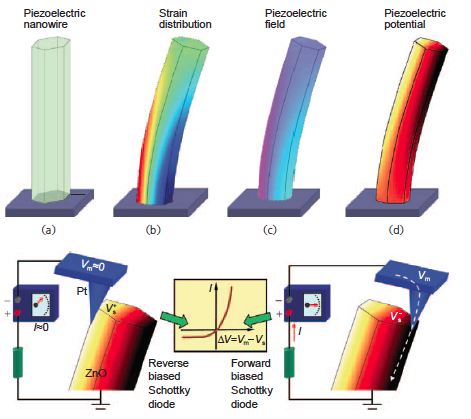 "Flexible Piezotronic Strain Sensor", J. Zhou, Y.D. Gu, P. Fei, W.J. Mai, Y.F. Gao, R.S.Yang, G. Bao and Z.L. Wang Nano Letters, 2008, 8(9),3035–3040. 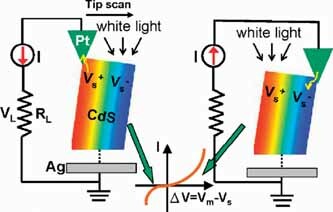 "Enhancing the photon- and gas-sensing properties of a single SnO2 nanowire based nanodevice by nanoparticle surface functionalization", Q. Kuang, C.S. Lao, Z. Li, Z.X. Xie, L.S Zheng and Z.L. Wang J. Phys. Chem. C,, 112,(30), 11539-11544, 2008.
" Statistical Modeling and Analysis for Robust Synthesis of Nanostructures", T. Dasgupta,C. Ma, V.R. Joseph, Z.L. Wang and C.J.F. Wu Journal of the American Statistical Association,, 103, 594, 2008. "Mechanical-Electrical Triggers and Sensors Using Piezoelectric Micowires/Nanowires", J. Zhou, P. Fei, Y.F. Gao,Y.D. Gu, J. Liu, G. Bao and Z.L. Wang Nano Letters, 2008, 8(9), 2725–2730. "Luminescent and Raman Active Silver Nanoparticles with Polycrystalline Structure",J. Zheng, Y.Ding, B.Z. Tian, Z.L. Wang and X.W. Zhuang, J. Am. Chem. Soc., 2008 (130) 10472. 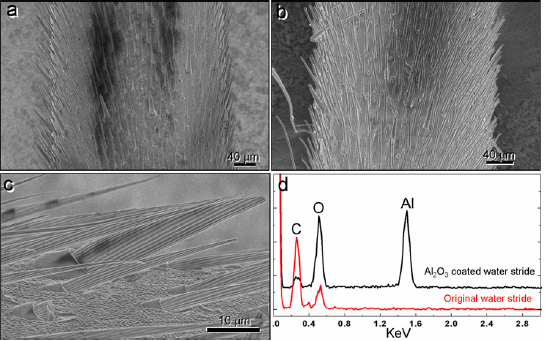 "Modifying the anti-wetting property of butterfly wings and water strider legs by atomic layer deposition coating: surface materials versus geometry", Y.Ding, S. Xu, Y. Zhang, A.C. Wang, M.H. Wang, Y.H. Xiu, C.P. Wong and Z.L. Wang, Nanotechnology, 19 (2008) 355708. "Fabrication of ZnO Nanowire Devices via Selective Electrodeposition",Min Zhang, Zhaoying Zhou,Xing Yang, Xiongying Ye, and Zhong Lin Wang. Electrochemical and Soild-State Letters,11(9) D69-D71 (2008). "Disket-Nanorings of K2Ti6O13 Formed by Self-Spiraling of a Nanobelt", Cheng-Yan Xu, Yu-Zi Liu, Liang Zhen, and Zhong Lin Wang. J. Phys. Chem. C, 2008. 10.1021. 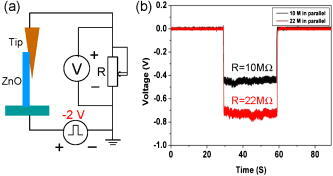 "Toward high output-power nanogenerator", Jin Liu, Peng Fei, Jun Zhou, Rao Tummala, and Z.L. Wang . Appl.Phys.Lett., 92 (2008) 173105. 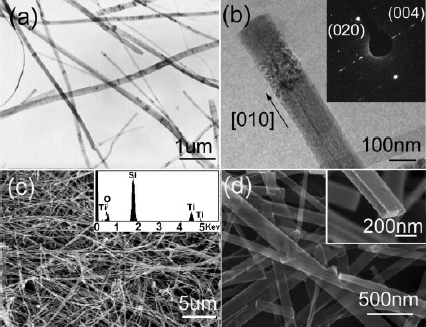 "Synthesis and characterization of ZnMnO nanowires", Xiaomei Zhang, Yue Zhang, Zhong Lin Wang, Wenjie Mai, Yudong Gu, Wangsheng Chu, and Ziyu Wu Appl.Phys.Lett., 92 (2008) 162102. "A New Catalytically Active Colloidal Platinum Nanocatalyst: The Multiarmed Nanostar Single Crystal", M.A. Mahmoud, C.E. Tabor, M.A. El-Sayed, Y. Ding, and Z.L. Wang J. Am. Chem. Soc., 130 (2008) 4590-4591. "Nanostructured Sheets of Ti-O Nanobelts for Gas Sensing and Antibacterial Applications", Y. Wang, G. Du, H. Liu, D. Liu, S. Qin, N. Wang, C. Hu, X. Tao, J. Jiao, J. Wang and Z.L. Wang Adv. Funct. Mater., 18 (2008) 1131-1137. 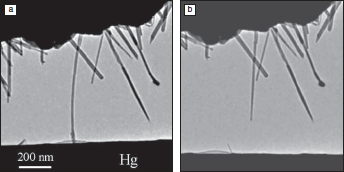 "In situ High-Resolution Transmission Electron Microscopy in the Study of Materials and Properties", J.M. Howe, H. Mori and Z.L. Wang MRS Builletin, 33 (2008) 115-121. 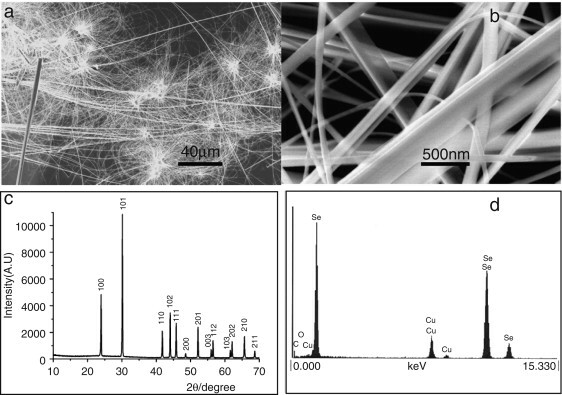 "Growth of Ultralong ZnS/SiO2 Core-Shell Nanowires by Volume and Surface Diffusion VLS Process", D. Moore*, J.R. Morber*, (*equally contributed) R.L. Snyder and Z.L. Wang J. Phys. Chem. C, 112 (2008) 2895-2903. "Oxide Nanobelts and Nanowires - Growth,Properties and Applications", Z.L. Wang J. Nanoscience and Nanotechnology , 8 (2008) 27-55. 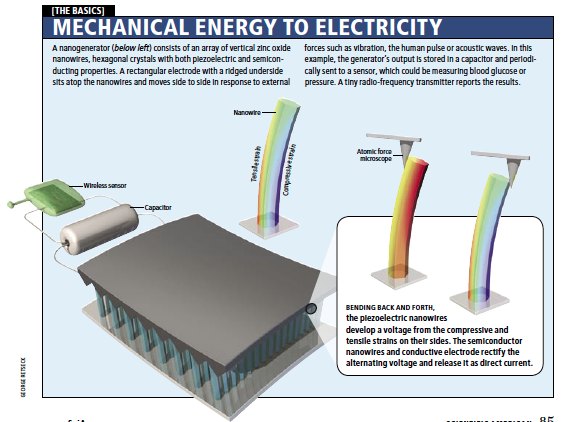 "Piezoelectric nanogenerator using CdS nanowires", Y.F. Lin, J.H. Song, Y. Ding, S.Y. Liu and Z.L. WangAppl.Phys. Lett., 92 (2008) 022105. "Self Powered Nanotech", Z.L. Wang Scientific American., Jan.(2008) 82-87. "Piezoelectric Nanogenerators for Self-Powered Nanodevices", Z.L. Wang, X.D. Wang, J.H. Song, J. Liu, Y.F. Gao IEEE Perv. Comp., 7 (2008) 49-55.